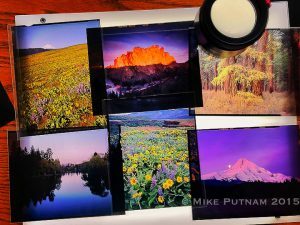 Professional Landscape photographer, Mike Putnam and his wife Debbie, moved to the beautiful Central Oregon town of Bend shortly after their completion of graduate school. Their move to Bend was largely influenced by the stunning natural scenery in the Central Oregon area. 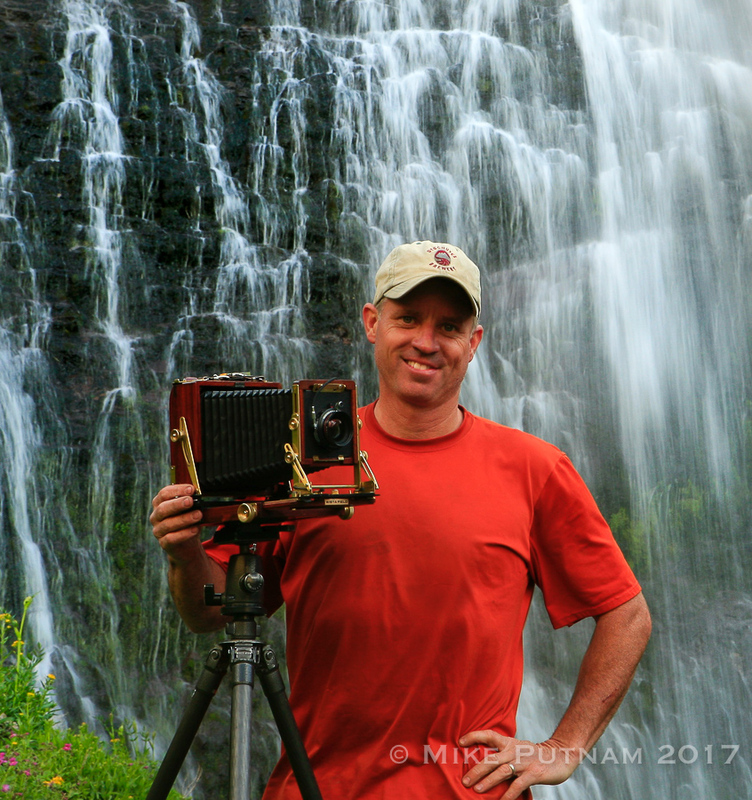 Glacier covered mountains, alpine lakes, old growth forests, pristine rivers, and lush wildflower meadows have made for amazing subject matter Mike and his life as a landscape photographer. 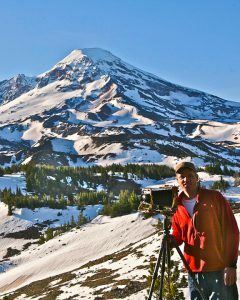 Mike frequently displays his landscape photography throughout Central Oregon. 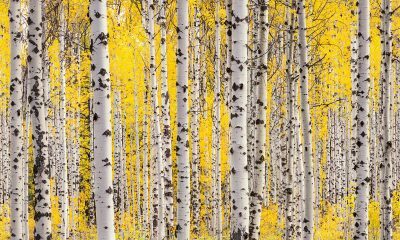 His fine art prints can be found in countless corporate and private collections across the United States. An abbreviated list of Mike’s local corporate collectors includes: U.S. Bank, Bank of the Cascades, Orvis, St. Charles Medical Center, Brooks Resources, RBC Wealth Management, Advisory Services and Investments LLC, and Central Oregon Community College. To view a current list of Mike’s Landscape Photography exhibits, please visit the exhibit page. 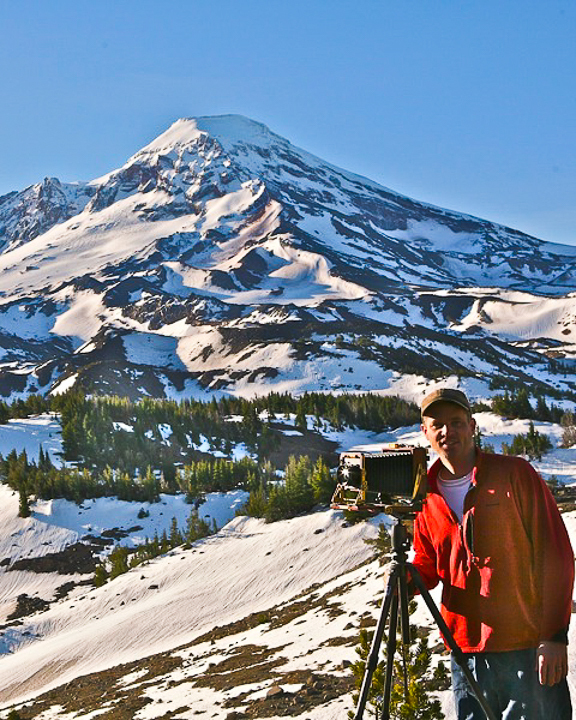 Mike’s Oregon landscape photographs are created using the large format view camera, in order to produce large beautiful fine art prints. World class fine art prints are always his goal when scouting or shooting for photographic purposes. The large transparency size of his 4×5 view camera allows Mike to make larger more intricately detailed prints than are possible with other camera formats. In addition to the superior image quality that Mike’s Large format camera allow, Mike also relishes the more deliberate and meditative process that his large format camera requires. For more information about Mike’s large format 4×5 camera, click here, large format 4×5 camera. As my career as a landscape photographer has evolved, I have been fortunate. When I initially moved to Central Oregon, an area with remarkable natural diversity and therefore endless subject matter I already had a career to help support my development as a fine art photographer. A bit more about my background can be found here….Oregon Landscape photographer, Mike Putnam. With years of research and field work, my skills as a landscape photographer were refined. The evolution of my fine art landscape photography required some complicated decisions and considerable investments. Because I had a well-established previous career, I did not have to make financial compromises which would adversely affect the quality of my fine art landscape photography. Quality has always been paramount in my landscape prints. Every decision regarding my fine art photography was made with the intention of capturing, creating and presenting the most technically accurate, finely detailed and most thoroughly scouted fine art landscape photographs. 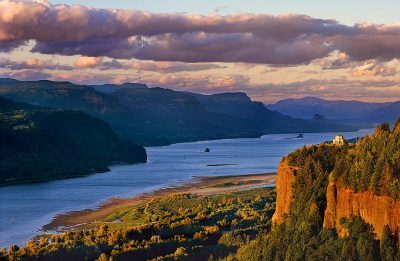 My intention is that viewers of my fine art landscape prints feel as if they are looking out an open window at Oregon’s most beautiful landscapes at the perfect time of day and on the perfect day of the year. To create this experience, many factors must instantaneously align. I must, of course, be at the right spot at the right time and I must be armed with the best equipment for capturing and crafting world-class fine art landscape photographs. After actually exposing the film(yep, I still use a film camera, more about that later!) The exposed film must be processed to exacting standards or my efforts would be for naught. Next, my processed films must be printed. Home printing is cheaper but in my experience, distinctly inferior to prints created by top-notch printing labs. The printing lab whose services I utilize is, in my opinion, the best in the world. The master printers have decades of experience, their attention to detail is impeccable and they utilize printers that most photographers will not ever be able to afford. Their services are expensive but worth every penny if the supreme quality is your end goal. 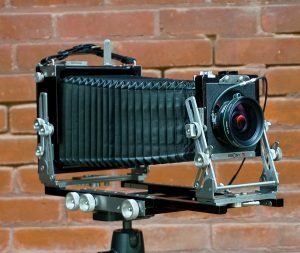 Because I get lots of questions from collectors about my gear, I’ve dedicated a whole page on this website to the Photography equipment I utilize which can be found here, Large format film photography gear. That being noted, I believe that the camera system I utilize for all of the fine art landscape photography I create is worthy of an extra notation. 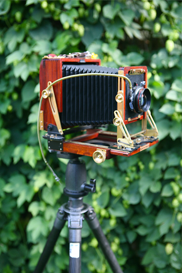 I continue to utilize a large format film camera because the result it generates make for superior results. The image file generated from one of my 4×5 sheets of film(seen above and to the right) allows me to create fine art prints far larger and much more detailed than current digital cameras. I routinely sell prints which are more than 50 inches long and at a higher resolution that the human eye can resolve. To understand the exceptional quality possible from a large format film, one must see my finished prints in person. Digital renditions of my work visible via websites are distinctly inferior to the actual finished fine art photographs that I sell. You must see them in person to appreciate their beautiful color spectrums and impeccable detail, even at exceptionally large print sizes.